I'm sorry, but most of my blog post titles relating to my wigs are probably going to have really cheesy titles. 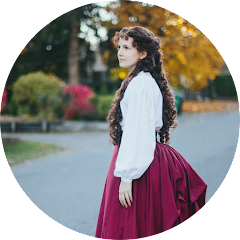 Yesterday I got some more work done on Wiggy, my Christine Daae wig. I've been working on the hairline for a total of 3 none consecutive days so far and I'm almost half way done. When I first started ventilating I had a hard time with getting the hairs and the hook in the right positions. But I've noticed that I'm a lot better and faster now than I use to be. Practice my friends. Practice. You may not notice it, but I traced out my hairline on the lace of my wig with a pencil one time when I had it on. I thought I was doing myself a favor, and total forgot that I had my hairline traced out on my wig head. When I tried to get rid of the pencil markings with an eraser I found that it didn't want to come out. I'm still figuring out how to take care of that, but learn from my mistake and don't use a pencil on your lace. When I tried on the wig I noticed that the hair in the lace front didn't extent all the way down to my ears on the ends of the lace. So I have a big square inch area on both sides of the wig that I have to fill in, as you can see in this picture. That's about it for now. My work hours are being cut back right now and I'm hoping to take that extra time to work on my sewing since I haven't had a lot of time for that lately. Hopefully I'll have some good stuff to share soon. 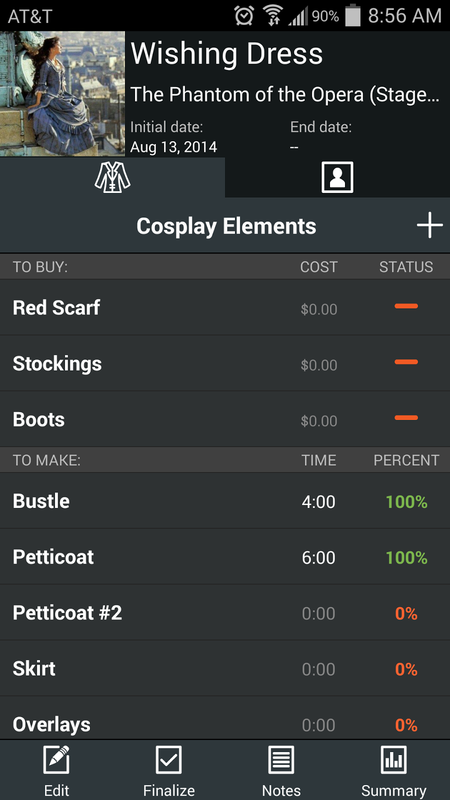 Okay, so I was scrolling through my Instagram feed this morning and one of the cosplayers I follow posted about this app called Cosplanner and how it's helped her keep track of all her cosplay's. Well, I immediately went and downloaded it (it's free) and I love it! 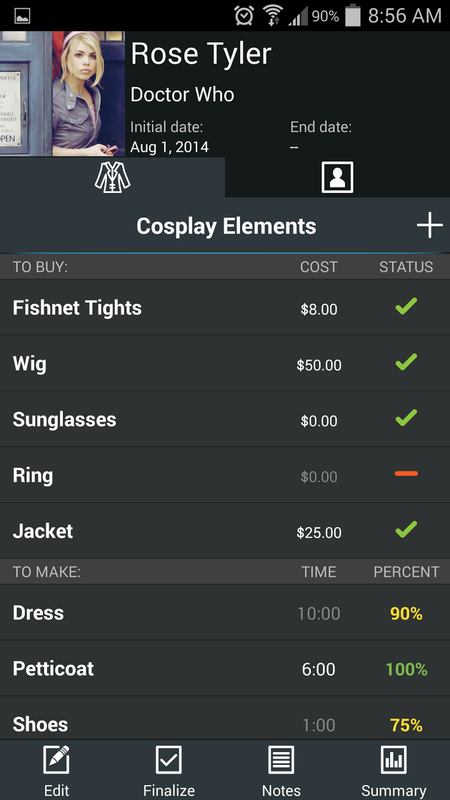 It helps you plan out your costumes by listing what you need to make and what you need to buy. For each item you enter it will have you put if it's completed and how long it took or how much you spent on it. 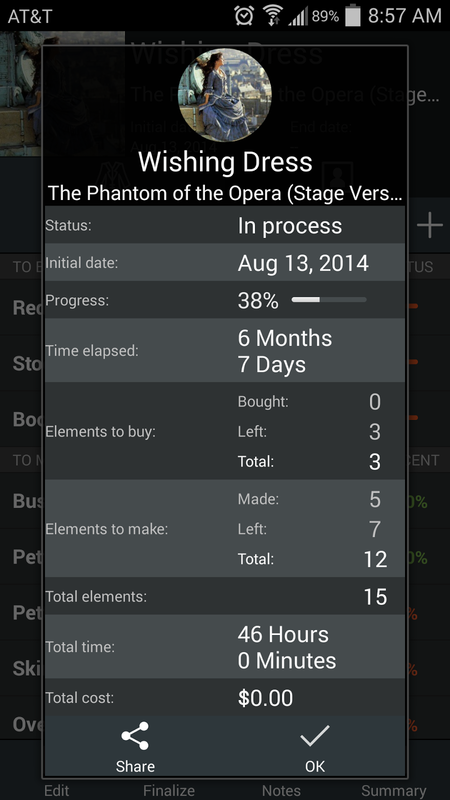 It also keeps track of the total progress and how much time you've spent on the project. When you finish a project you can see just how many hours you put into it and how much you spent as well. It also has a place for you to download reference pictures for each of your costumes, which is super nice so you can always have easy access to them when you need to pull something up real quick. So far I've only entered information on costumes I've either worked on in the past and the Wishing Dress, but I can already tell you that this app is going to be amazing for my records! I started making paper charts with most of this information, but this a better! 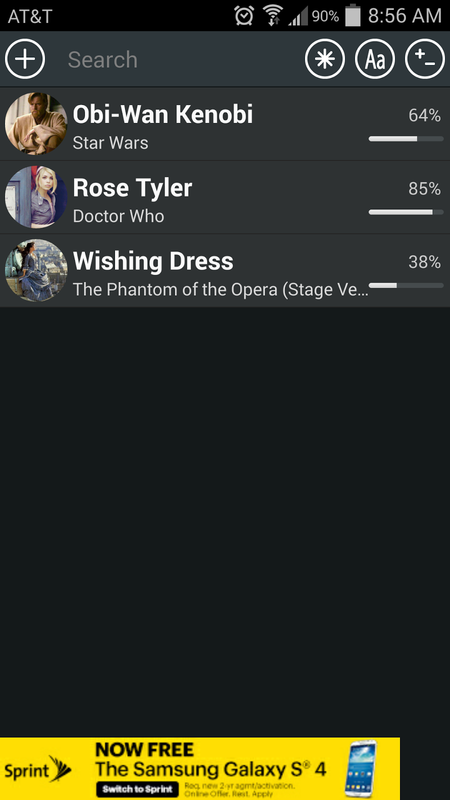 I give this app 5/5 stars and recommend it to all costumers/cosplayers! I had the day off work yesterday, so my mom, sister and I went out to do a little shopping. We went to JoAnn's to take advantage of their Presidents day sale, and although I didn't buy a ton of stuff (okay, I did buy a ton of patterns), I did get some awesome deals! I picked up this petticoat pattern, mainly thinking of the pattern in the upper left corner for my graduation dress. I could make my petticoat without a pattern, but I figured for a buck I'd pick up the pattern. This one is also for my graduation dress, which I just realized I never shared here on my blog Oops! I'll make a post on that soon. But anyways, I picked up the pattern for the single shoulder dress pattern. 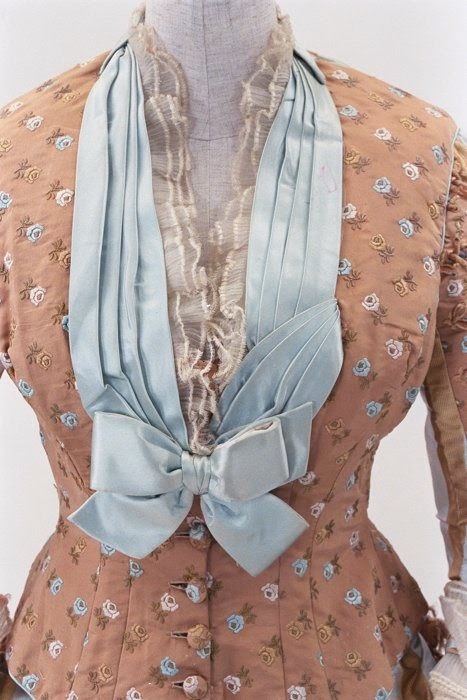 The top of the dress is a separate piece from the skirt, so it should work nicely! Another corset pattern. I realize I have yet to use a corset pattern that I've bought, but I had to picked it up. I've heard good things about this pattern. Not sure if these tops will really work with my trousers, but I need a new top for Historic Flight events. I've also been wanting to make a 1940's dress, so I knew I had to get this one! Okay, so I've seen these patterns online and was really surprised at how accurate they are to the movie. I wasn't even thinking about these when I entered JoAnn's, but then I saw it sitting on the table and jumped to grab it. I'll have to look at the patterns a little farther, but I don't see much modifying that would need to be done on these patterns other than moving the leg slit on Elsa's dress to the right side, fabrics, and the capes on Elsa's dresses. There was ribbon for $.50 and I picked up some of the super thin stuff to replace my yellow ribbon drawstrings on my petticoat and chemise (finally!). And last but not least, muslin. I have about 2 yards left of my last bolt and have been needing more but haven't ordered it because it's been on sale online and I like to use a 50% off coupon to get a better deal. They only had 17 yards, but I ended up getting it for a super good deal! I have no idea what happened, but I ended up only paying $8 for it somehow. So I did do the first challenge of the Historical Sew Monthly in January, I just haven't gotten photo's of it yet. But, I did make a video tutorial for it. I was going to get photo's and post them at the same time I shared this tutorial, but they weather has been pretty rainy and I've been really busy lately. So I thought I would just make a quick post and share the tutorial.